This morning, I got up very early for a Saturday, and Jeff and I headed to our Bountiful Baskets location. For once we actually left early enough to get there in time to help volunteer with the set-up. So early in fact, that we were the first to arrive. We chilled in the the van while we waited for the truck, the coordinator, and the other volunteers to arrive. All the veggies come stacked on one pallet. 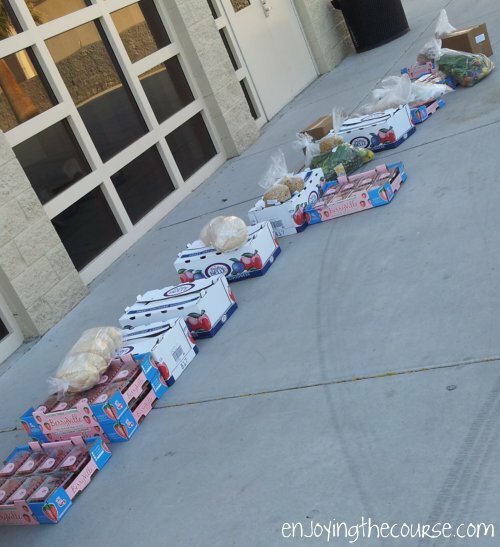 After unloading the pallet, we started sorting the fruits and veggies into all the baskets. The extra add-ons are all lined up and organized, too. It was super fun! And went by quickly. Before I knew it, we were back home with all of this goodness. We got a few add-ons as well. 8 lbs of strawberries. Well, I'm only keeping 2 lbs. The other 6 are going to a couple co-workers. 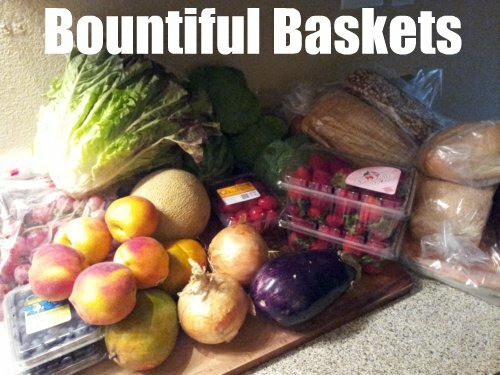 We've been doing Bountiful Baskets on and off since the end of May, and so far, I'm still loving it! It forces us to eat better and try new recipes. 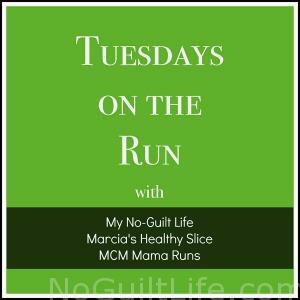 With all those wraps in my fridge and freezer, I'm off to Pinterest to find exciting recipes for wraps. What's your favorite way to enjoy broccoli? How about your favorite wrap recipe? That's a great haul! I still just love this idea. How cool that you helped out, too. 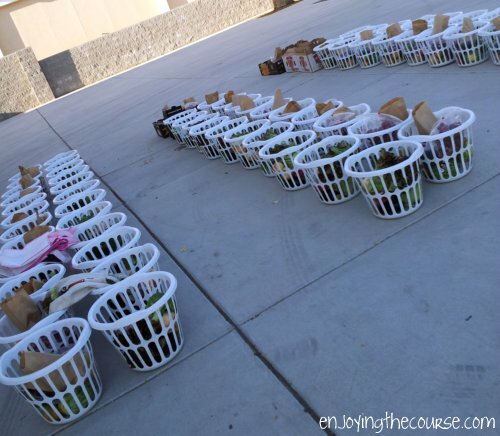 I love Bountiful Baskets and I love to volunteer too! But now as the miles are getting longer for my marathon training Saturday mornings, I haven't been able to get there in time to volunteer.